The Peg Tree. 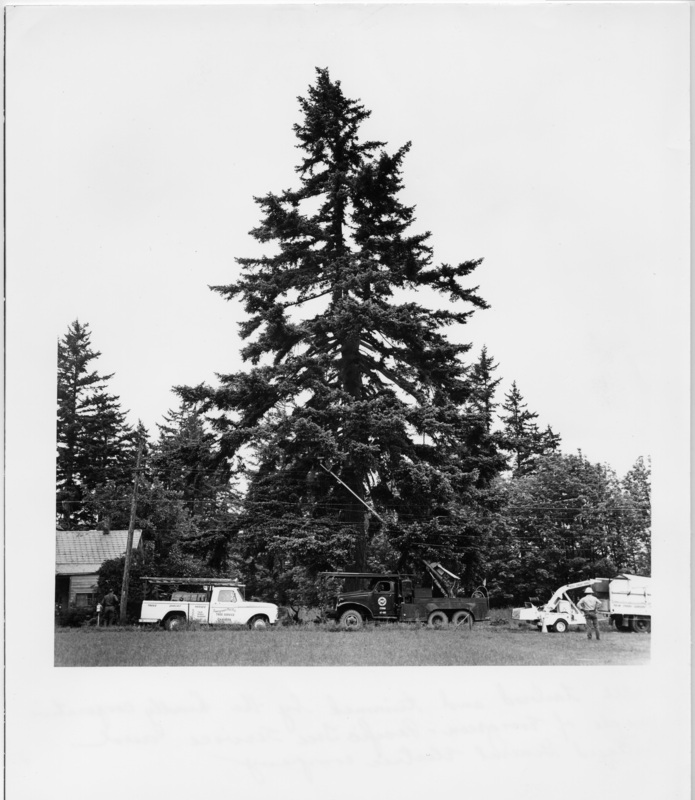 All tailored and trimmed by the kindly cooperative people of Evergreen-Pacific Tree Service and Portland General Electric Company. Allan J. de Lay, professional photographer; Jun 13 1967; 8835 S.E. 31st Avenue; Portland 22, Oregon; OL 4-6495. Transcription The Peg Tree. All tailored and trimmed by the kindly cooperative people of Evergreen-Pacific Tree Service and Portland General Electric Company. Allan J. de Lay, professional photographer; Jun 13 1967; 8835 S.E. 31st Avenue; Portland 22, Oregon; OL 4-6495.